" You don't even know you are wearing a mask! I could watch TV without closing one eye to peek around the nose bridge piece! Great! " " I have a pressure of 19 and was concerned that the mask wouldn't stay put, but I had no problems with leaks. " 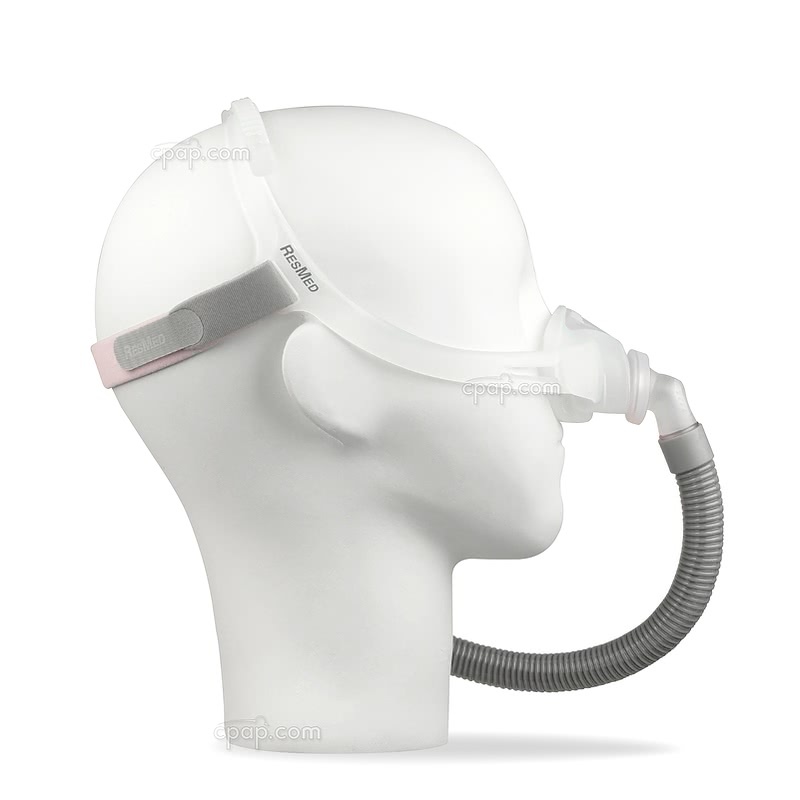 The Swift™ FX Nano for Her CPAP Mask with Headgear expands on the success of the Swift FX Nasal Pillow Mask offering a small but effective take on a nasal mask. The Swift FX Nano For Her is made up of three main parts, making it remarkably lightweight and easy to use. 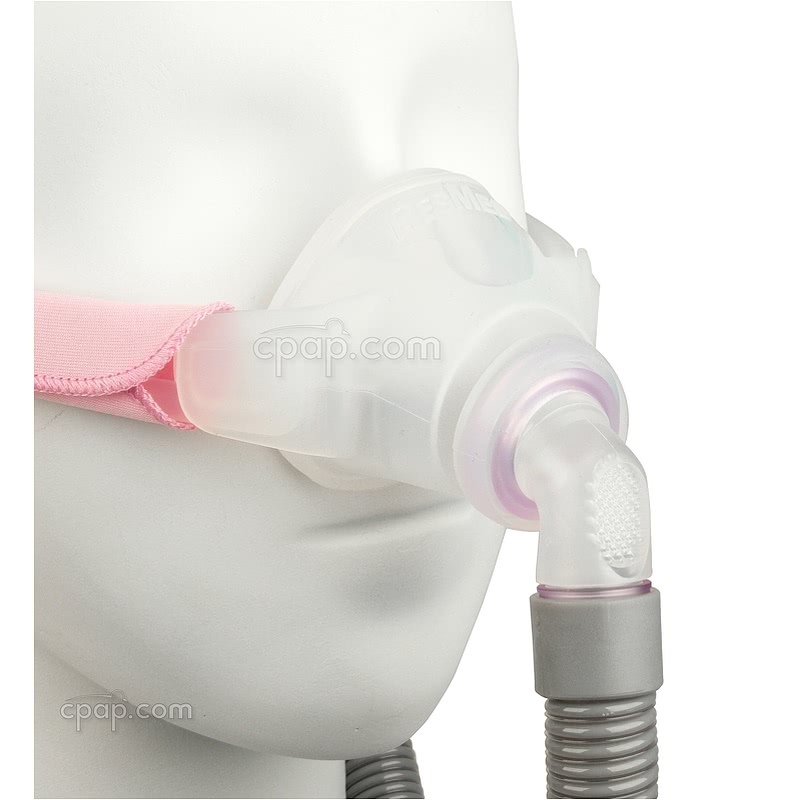 The soft nasal cushion minimizes facial contact while still achieving a proper seal. Offering comfort along with a small and lightweight design, the Swift™ FX Nano For Her has the proven features from the Swift FX Nano and Swift FX Nasal Pillow. The soft nasal cushion of the Swift FX Nano for Her is designed to seal around the nose with minimal contact to the face. The short tube with ball joint elbow provides active sleepers with increased freedom of movement. The adjustable silicone headgear is lightweight and flexible. The Swift FX Nano For Her is lightweight and compact, making it a great option for those unable to find success using masks with a more rigid frame. The small, soft nasal cushion achieves an optimal seal while covering a surprisingly small area. Having 3 components that make up the mask: the cushion, headgear and short tube assembly, the Swift FX Nano for Her takes the guesswork out of caring for the mask. Simply remove the short tube as well as the headgear from both sides of the cushion to allow for easy cleaning of each component. The Swift FX Nano is an option for active sleepers. The ball joint elbow of the Swift FX Nano allows the short tube to move freely as sleeping positions change during the night. The flexible short tube accommodates movement with less chance of causing leaks. The flex tube is 15 inches in length, including the cuffs. The stability and support of the Swift FX Nano For Her is provided by the headgear eliminating the need for a forehead support. The design provides an unobstructed line of sight open for bedtime reading or TV watching. Along with having clear sight, this will eliminate forehead marks in the morning caused by a forehead piece. The Swift FX Nano For Her headgear is soft and flexible and allows for easy adjustment to create the best fit. Adjustments can be made using the buckle on top of the notched headgear as well as the Velcro fasteners on the back strap to achieve the best placement. 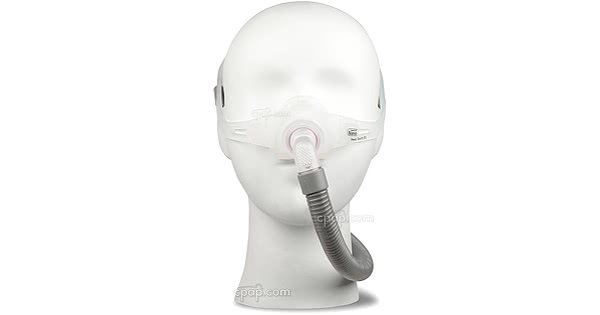 The lock and tab key hinges found on the popular Swift FX Nasal Pillow mask are found here. 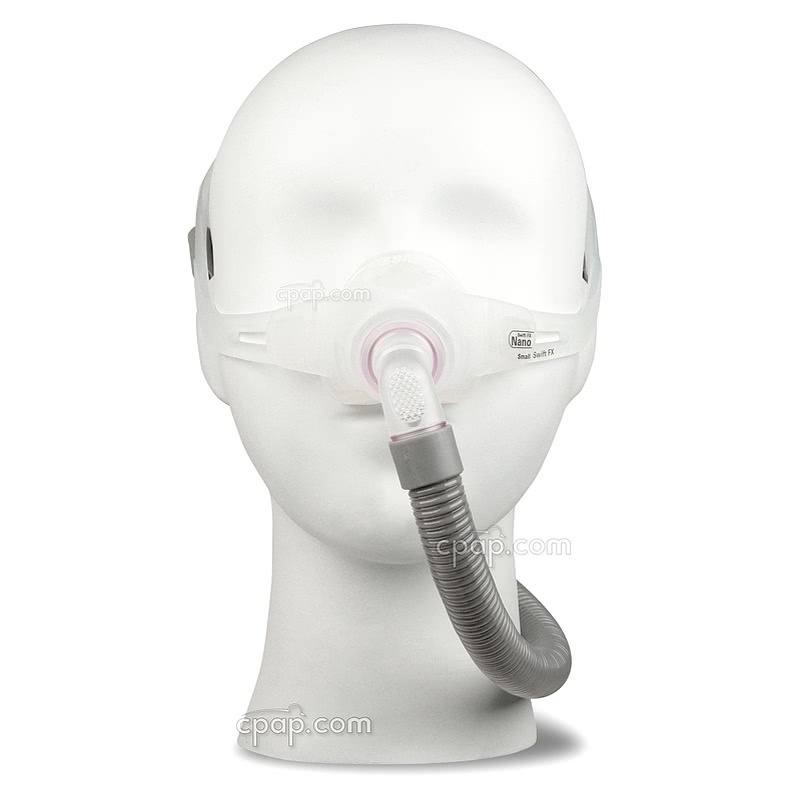 They allow for easy attachment and release of the two point headgear to the mask cushion. The included soft wraps are can be used to provide a cushion between the silicone headgear and the cheeks. The wraps can be easily added to the headgear to give the extra softness for comfort. The soft wraps are not required for use of the Swift FX Nano For Her. To view the regular Swift FX Nano, click here: Swift™ FX Nano. 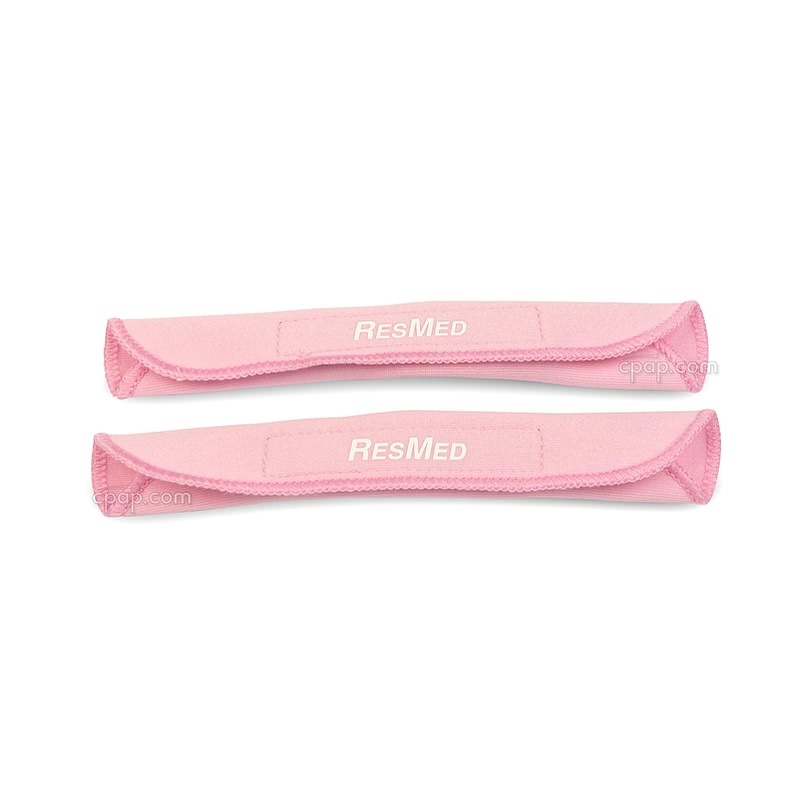 Flex Tube Note: The ResMed Swift FX Nano For Her includes the flex tube. The flex tube is 15 inches in length, including the cuffs on each end. The flex tube is a part of the Swift FX Nano For Her elbow assembly. 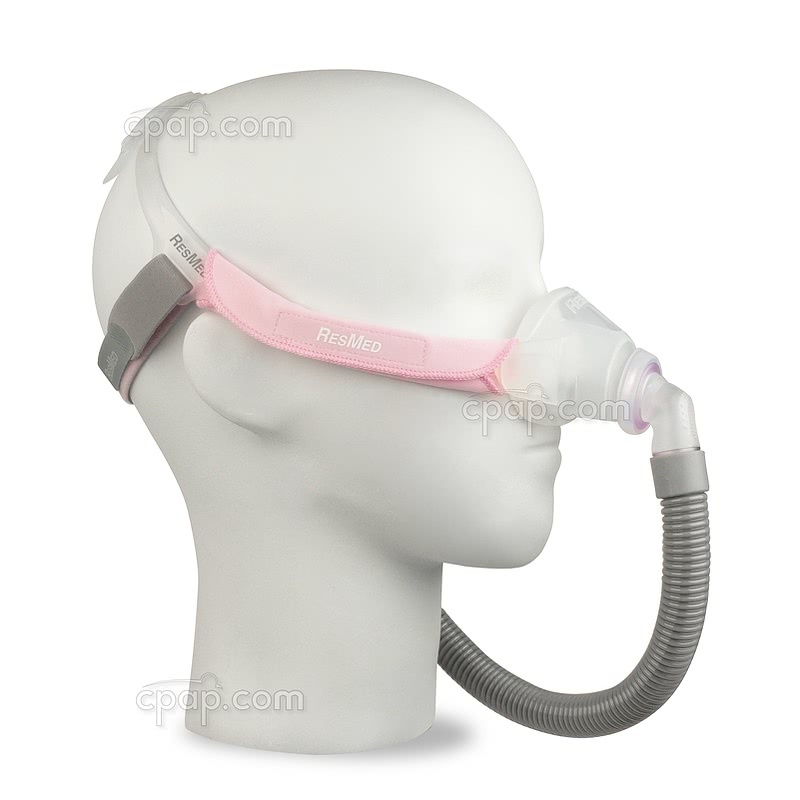 Product Note: The ResMed Swift FX Nano For Her is a nasal CPAP mask. The cushion of the Swift FX Nano circles the entire nose. 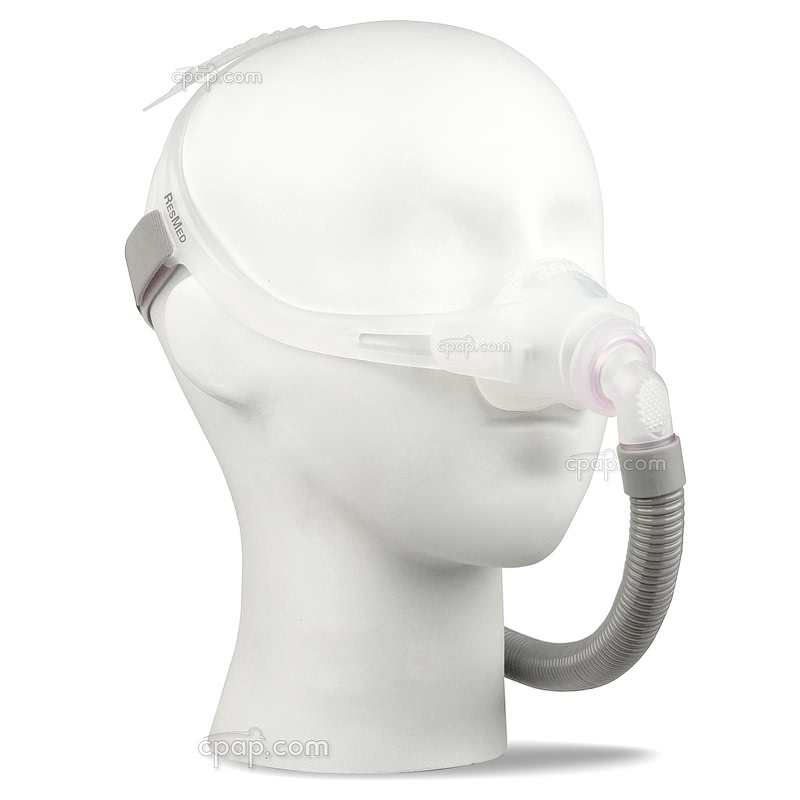 Other products in ResMed's Swift line are nasal pillow delivery systems which deliver the therapy air stream directly into the nasal openings or nares. Important Note: Per the manufacturer of the Swift FX Nano For Her, the short tube assembly of the Swift FX Nano For Her is NOT interchangeable with the Short Tube Assembly for Swift™ FX Nasal Pillow (elbow, short tube, and swivel). Although the two products appear similar there are differences between the two products. 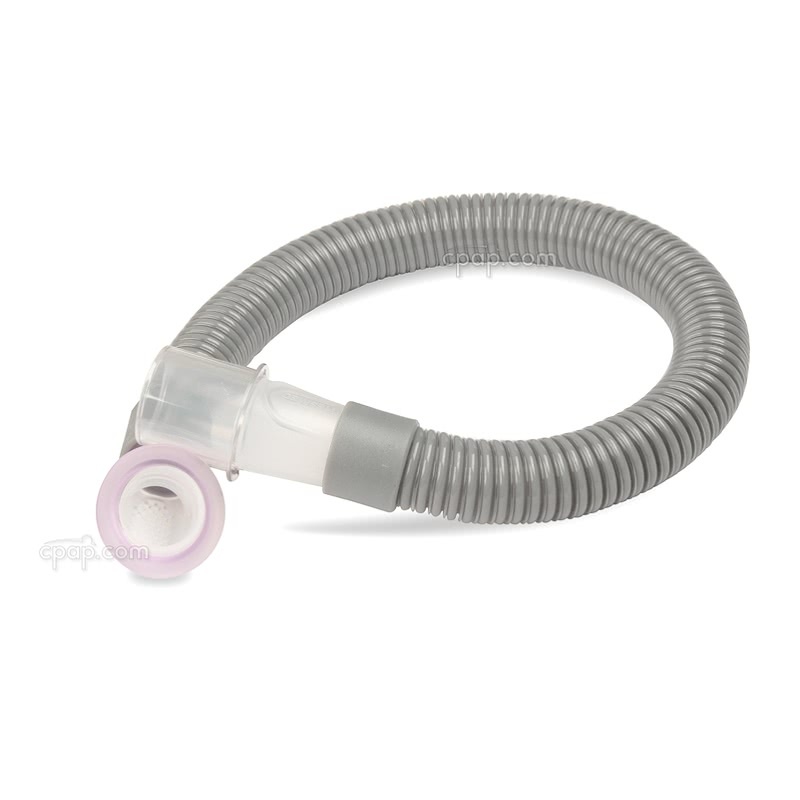 Oxygen Use: If oxygen use is needed with CPAP therapy, consider the Oxygen Enrichment Adapter. The ResMed Swift FX Nano For Her does not have a built in oxygen port.